I think the reason was that I have to really be selective with kitchen items for my apartment. As most of you know, I’m working with a 350 square foot studio here (see my home tour here) and it only works because I sacrifice a lot of items. If you’re in college, I’m sure you understand my problem. 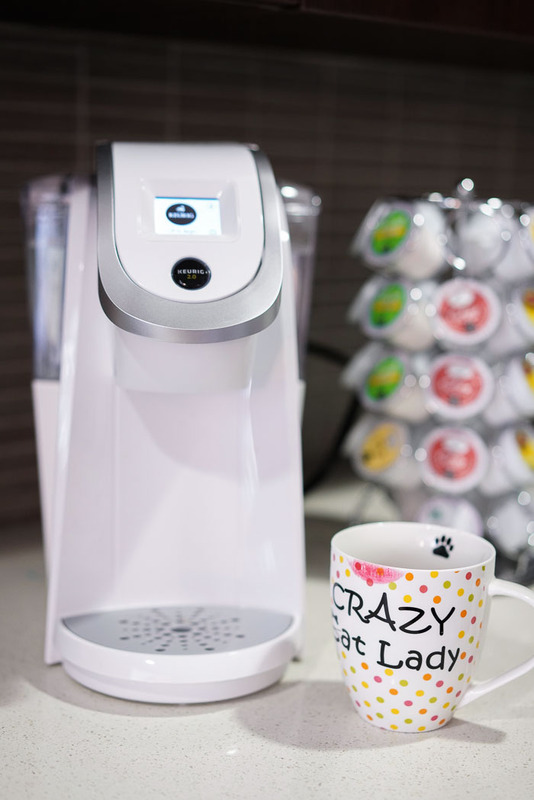 One of those items was a Keurig … until now! 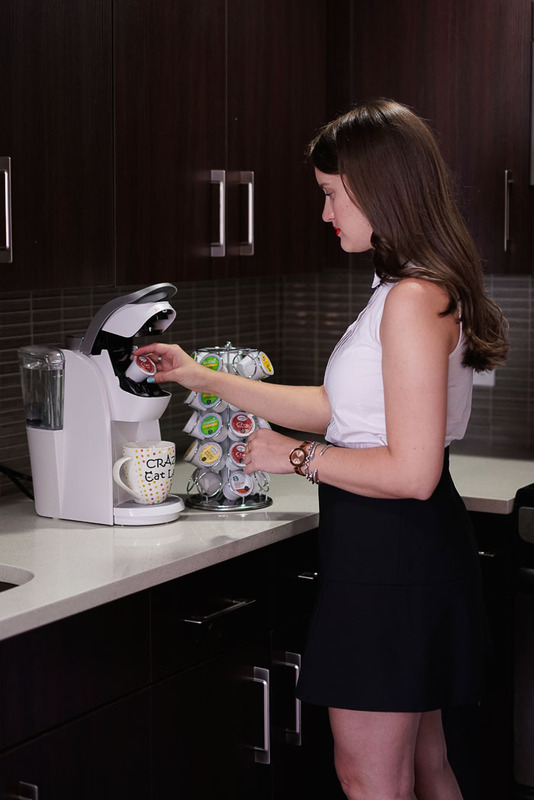 Luckily - Keurig came out with a new brewer and it’s just my size. 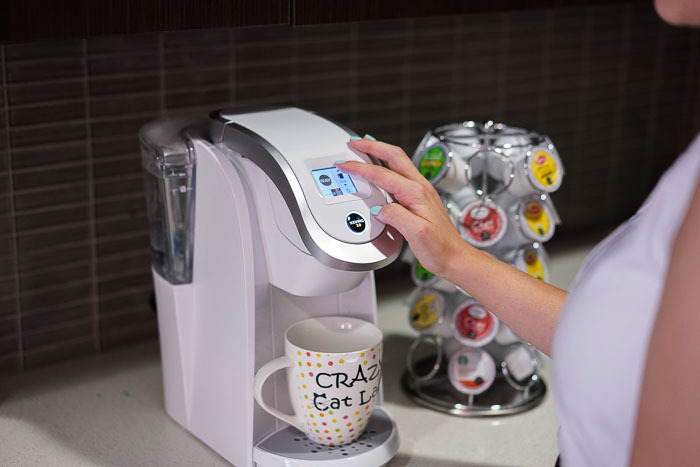 This is the Keurig 2.0 K250 brewing system and can be found online at Keurig.com and at major retailers nationwide (yay!) so we can be twins. It’s perfect for small spaces like living in New York or a dorm room for anyone who's lucky enough to still be in college I also love that it comes in seven fun colors so it can fit anyone’s style. I went with white because I like a clean and crisp appearance — especially in the kitchen. I know… I know… how weird, right? I just never found a need for it and I don’t think I should pick it up now haha. 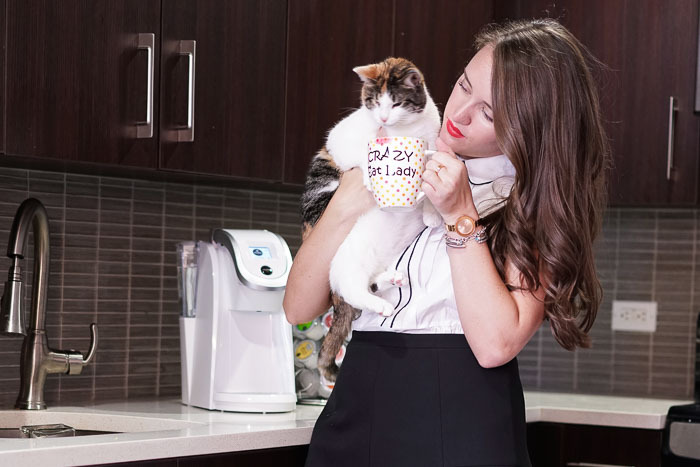 So now you might be thinking what the heck do I brew with this Keurig? Well they actually have a ton of fun options for non-coffee drinkers like myself. 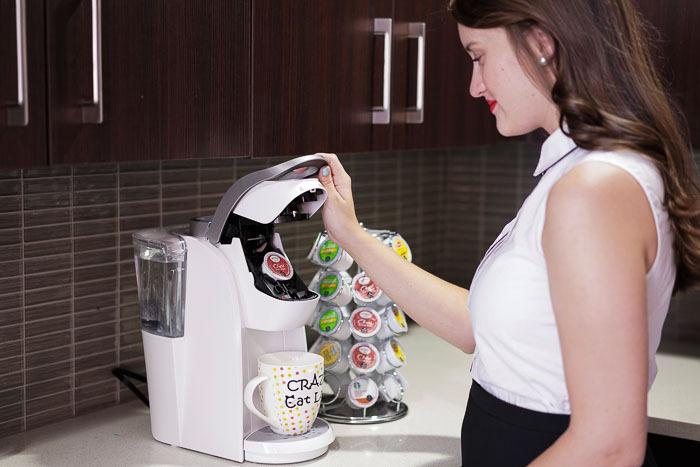 The K-Cup® pods come in over 500 beverages from more than 75 different brands so there is something out there for everyone. It’s seriously the best thing! 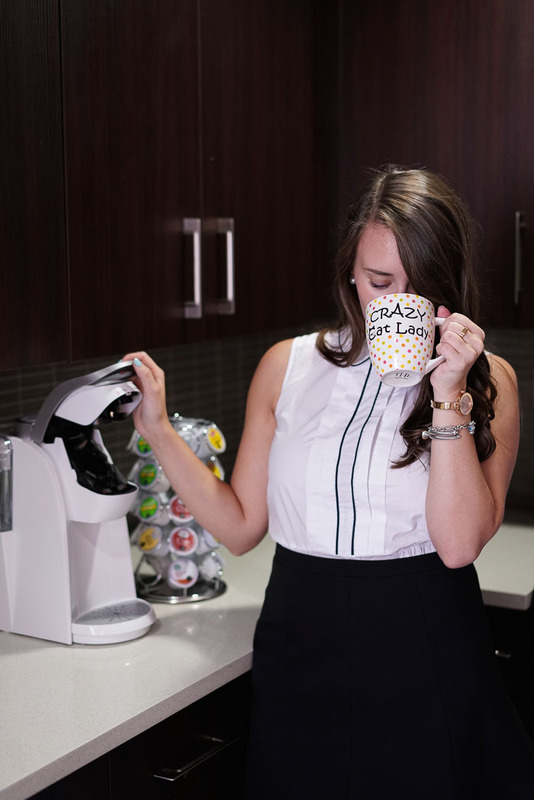 Thanks to Keurig and Her Campus Media for partnering on this post! 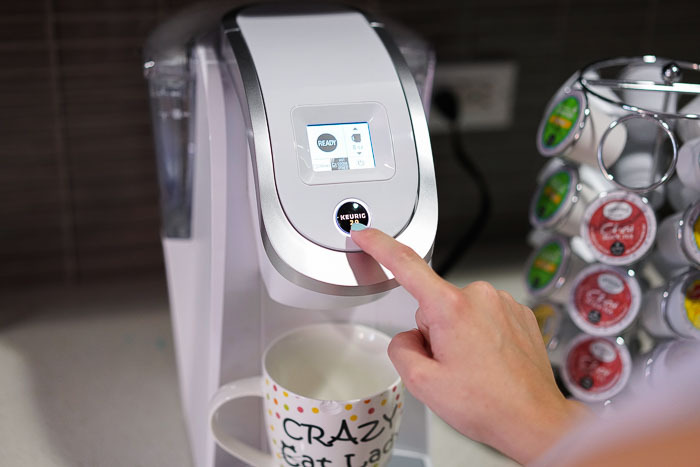 I love my Keurig! And I love that mug! haha Crazy cat ladies represent! 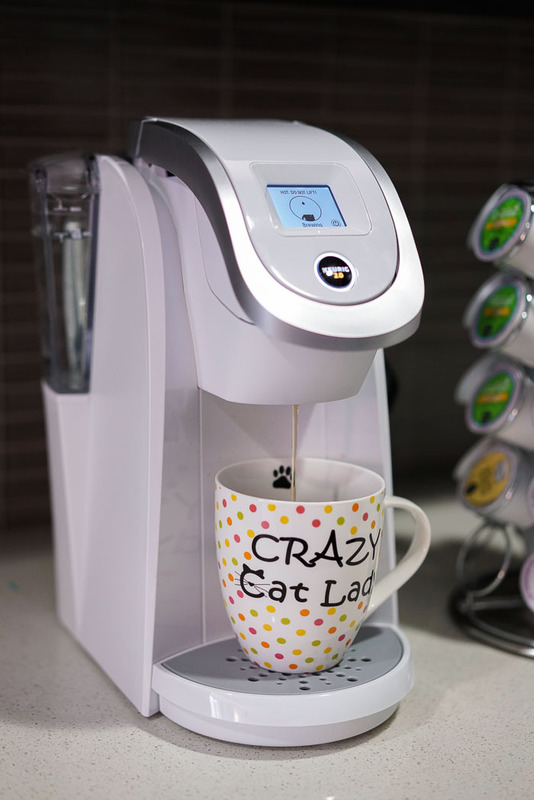 I couldn't live without my Keurig. It's been with me since college and even now. Enjoy!